Just saw an ad recently that finished with this: “Go directly to the place that will improve your game with all the equipment and apparel you need.” What a country – you can buy improvement. And people continue to buy into this nonsense. If it was just the equipment, then how come some top tour pros struggle when they change brands? I have a friend who buys every new driver that TaylorMade puts out. His scores are still the same, but he swears he is just killing the ball. I guess whatever makes you happy. Another fellow came to me for some lessons and said he could not hit his new irons. So I watched him hit a few shots. Top, top, fat, top and slice. I asked him how he hit his old irons. Not much different, was his reply. After I worked with his swing for a few weeks, I caught up with him on the range to see how he was doing. “Man, these irons are the best thing I ever invested in,” was his reply. I felt like Rodney Dangerfield. If you’re one of those big-name instructors on TV, everyone listens to what they have to say and often when you are working with a person, you’ll hear that so-and-so said to do this. Sometimes you just want to respond like Hogan would and say, “Well, then go take a lesson from him, then.” A lot of this stems from the manufacturers who have basically driven the game. We, the teacher, get very little credit from them. Just look at the ads. They all tout their brand as being the one that will make one longer and more accurate. Yet, I have never seen a person from scratch with a brand new $2,000 set of clubs step up to the tee box and stripe one. 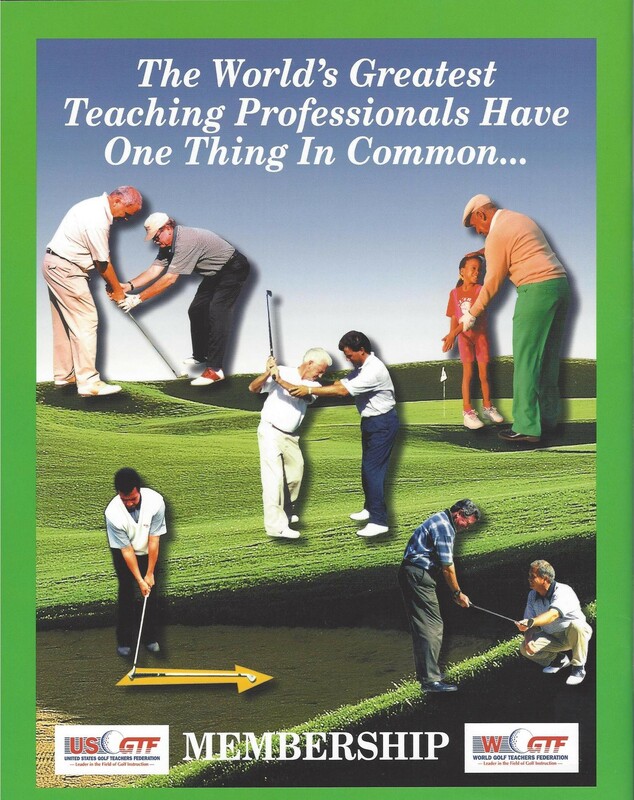 I have seen several people who work diligently with one of us run-of-the-mill everyday teachers become decent players. Maybe there is a lesson in there somewhere.